You take great pride in your property and in your ability to care for it yourself. You spend hours each week caring for your lawn, flowers, garden, and bushes so that they look their best all the time and are the envy of your neighborhood. Even though you may have planted and cared for the trees on your property as you watched them grow, once your trees reach a certain height it can be difficult for you tend to them safely. You may not be cut out to handle your tree trimming in Hidden Hills alone, but a professional service like ours at Your Way Tree Service, Inc. can be there for you. Simply deciding now is a good time to trim your trees and setting to it is not the best plan of attack. You need to have knowledge about the trees on your property so you know the best time to perform trimming so that they can stay healthy. Different trees require different types of cuts on the branches as well in order to help keep the tree viable and healthy. Making an incorrect cut such as cutting a branch too short on a particular tree can leave the tree more vulnerable to certain diseases or pests, potentially causing further damage to the tree where you would need to take it down completely. Tree trimming in Hidden Hills requires knowledge and the right tools to do the job. The average homeowner may have a chainsaw and other saws and some shears, but they will not have the same level of equipment that you will find when you turn to a professional service. When we at Your Way Tree Service, Inc. come on-site for a job, we are sure to bring the appropriate tools, safety equipment, and methods to reach proper heights for safe and accurate trimming. You not only need the right tools, but you need the knowledge to use them safely and appropriately to do the job right. 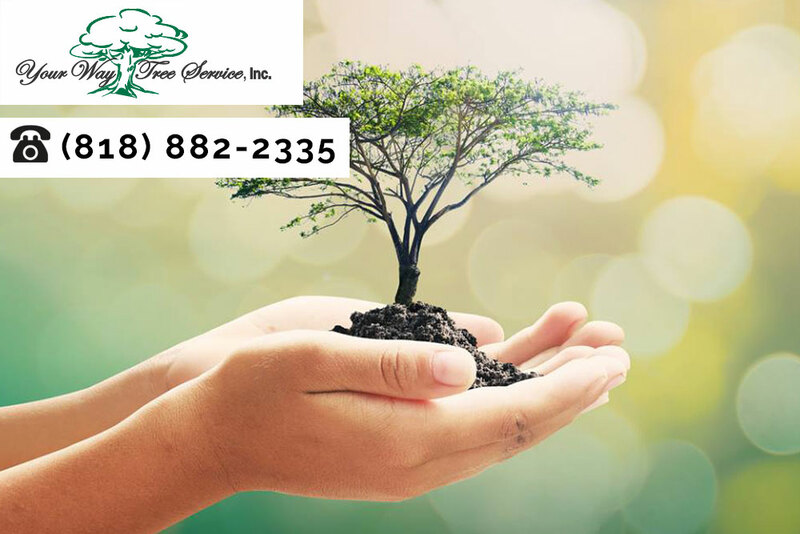 If you want to maintain the wonderful look of your trees and property, it is well worth it to you to invest in professional tree trimming in Hidden Hills from us at Your Way Tree Service, Inc. You can schedule an evaluation with us so we can look at your trees, let you know your options and provide you with an estimate for the work when you call our office at 818-882-2335, or you can contact us through the contact form on our website at www.yourwaytreeserviceinc.com.